Omega-3 supplements are among the highly recommended products for athletes including bodybuilders and weightlifters. But don’t just buy the available Omega-3 supplements online just because John and Jane Smith said so. Here are a few tips to remember about choosing the best omega-3 supplement. Omega-3 essential fatty acids (EFA) is actually an umbrella term for two its sources, namely: EPA+DHA, which are sourced from marine animals like algae; and ALA, which are from plants like flax, chia, canola, and walnuts. Between the two, we suggest buying a supplement with EPA+DHA for many reasons. EPA+DHA are essential in optimum brain function and in mood stabilization that, in turn, are crucial in physical fitness and mental health. These are also effective in accelerating recovery, especially after intense training, and in countering inflammation from it. The bottom line: These will significantly contribute to your success in fitness! 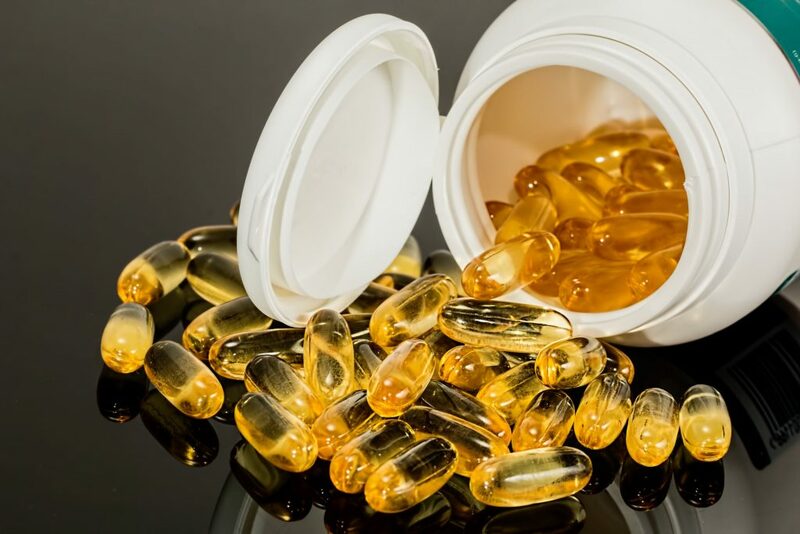 EPA+DHA are also important for another reason – to counteract the large quantity of omega-6 EFA consumed from nuts and seeds, as well as the oils extracted from them. In fact, we get it from a wide range of food, both healthy and unhealthy, such as cookies, chips and crackers, thanks mainly to the use of sunflower, corn, and soy oil in their preparation. Since we eat food fried in these oils, we may be getting more than we need – and this is where the EPA+DHA come in. While omega-6 EFA is beneficial to health, too much of it has adverse consequences, too. But when there’s a balance between omega-3 and omega-6 EFAs, you will get the health benefits of the latter including reduced risk of heart disease. Omega-6 EFA, by the way, decreased LDL (bad cholesterol) and increases HDL (good cholesterol). Plus, the balance between the two EFAs also means reduced inflammation, a good thing for people engaged in intense training. The lower the inflammation of the muscle tissues, the faster the recovery rate. Ideally, the best omega-3 supplement with EPA+DHA as the base has a ratio of either 3:1 or 3:2 (EPA-is-to-DHA). You have to ask your dietitian and/or personal trainer at Powerhouse Gym, if necessary, to determine which ratio will work best for your specific body type and composition, as well as fitness goals. The American Heart Association (AHA) recommends taking 1 gram of EPA+DHA per day for the maintenance of general health. But if you’re a physically active person, or you are engaged in intense training, or you’re recovering from an injury, you can increase your EPA+DHA intake by 1,500 to 3,000 milligram per day. You should also take the EPA+DHA supplement with a Vitamin D supplement. For best results, you can take it after your workout, too.